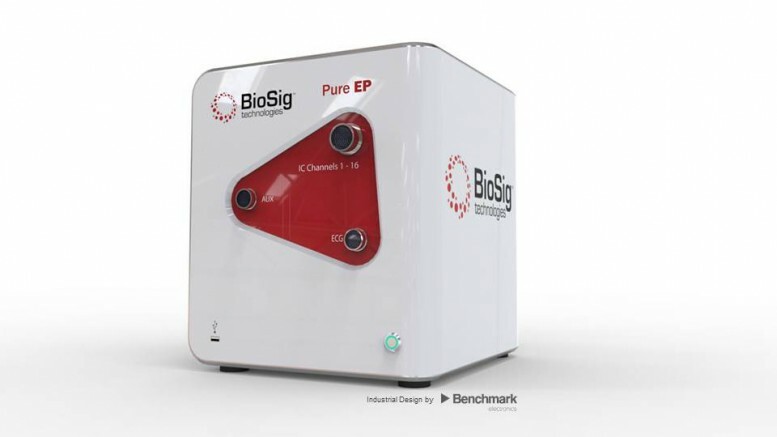 BioSig Technologies, Inc. (OTCQB: BSGM), a medical device company developing the PURE EP(TM) System, a novel cardiac electrophysiology (EP) information system, today announced its submission entitled “Enhanced Electrophysiology Recording System” will be presented on Friday, August 19, 2016 at the 38th Annual International Conference of the IEEE Engineering in Medicine and Biology Society (EMBC 2016). The presentation will be held in Pastoral 1 (Session FrCT8) at the Contemporary Resort in Orlando, Florida with a poster session to follow. The 38th Annual International Conference of the IEEE (Institute of Electrical and Electronics Engineers) Engineering in Medicine and Biology Society (EMBC’16) will be hosted at Disney’s Contemporary Resort in Orlando, Florida on August 17-20. The overall theme of the conference is “Empowering Individual Healthcare Decisions through Technology” and will cover diverse topics from cutting-edge biomedical and healthcare technology research and development to clinical applications and biomedical education.